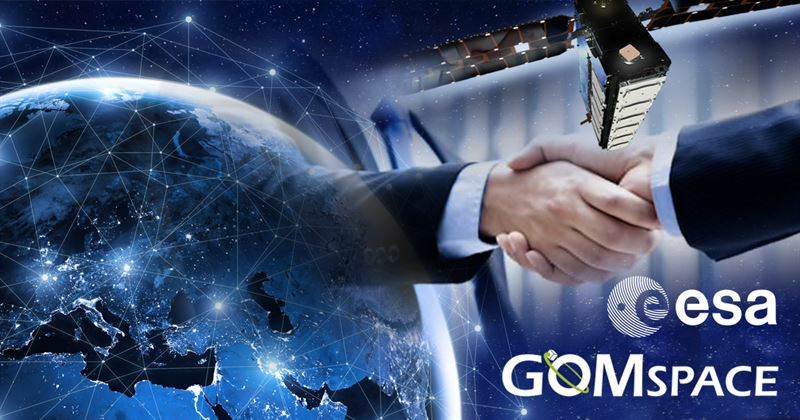 GomSpace has signed a 300k€ development contract with ESA for the initiation of a new GOMX-5 satellite mission to demonstrate new nanosatellite capabilities for the next generation of constellations requiring high speed communications links and high levels of manoeuvrability. “We are happy that we with the support from ESA can continue with the next chapter of our very succesfull GOMX flight demonstration program. With the GOMX program we continuously develop and demonstrate new capabilities for nanosatellites that our customers can depend on for their future programs”, says Niels Buus, CEO of GomSpace. The mission will consist of two nanosatellites in the 20kg class with an improved platform for increased power handling and reliability. Further, the satellites will be equipped with a number of advanced communication technology payloads to be announced after final selection. The present contract covers design and specification work planned for 2019 and is expected to be followed by additional contracts for the subsequent implementation. Launch for the GOMX-5 mission is foreseen to be in 2021.